Desk Jotters are an excellent way of keeping your name in front of clients. 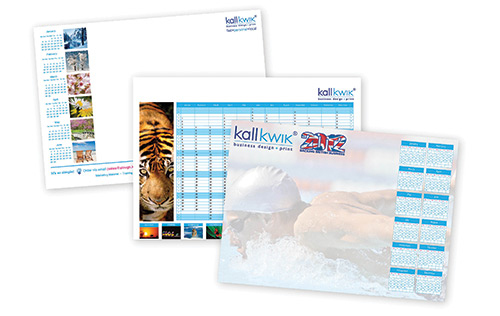 They are very popular – especially if they include a calendar! FAST – We can design and produce most Desk Jotters in a few days. LOCAL – We can visit your office at short notice. Free local delivery is part of our service - or you can collect from our centre in Clarence Street. We have a car park for customers’ use behind the centre.